This Tuscan-style home will charm you with its easy flow and open floor plan. 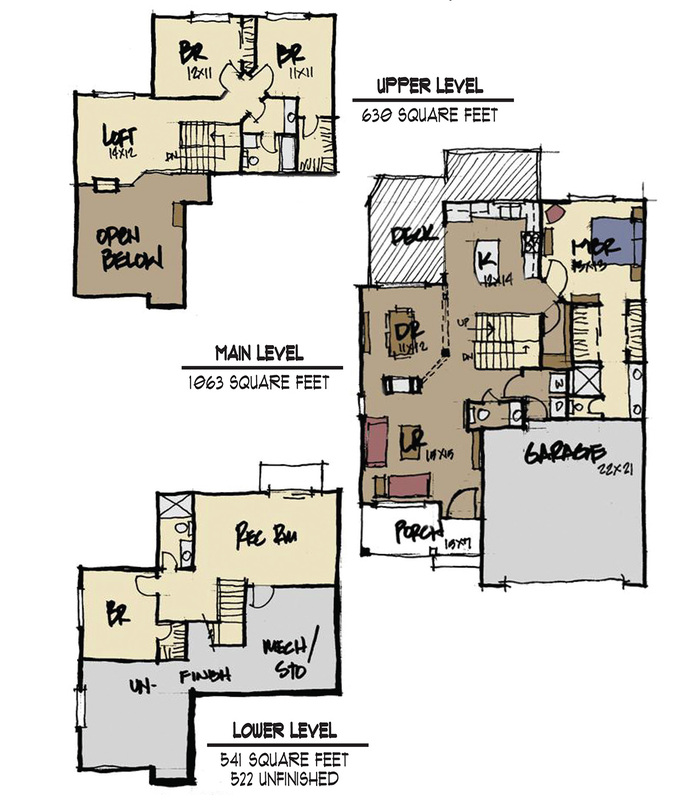 The living spaces on the main level have a spacious feel due to the lofted area above, and the kitchen and dining room access and large deck so you can enjoy entertaining indoors and outdoors. Wetterhorn Peak’s main level master has ample room for a relaxing retreat, and the loft, three additional bedrooms, and lower level rec room give you and your family space for play and hobbies.